Engel & Völkers Hong Kong is the market leader in buying and selling Luxury apartments and properties in Hong Kong with exclusive sole agency listings. Our Hong Kong agents and advisors are dedicated to their core product: Service. Whether our realtors are helping you buy or sell your luxury home in Hong Kong or internationally, or simply renting or leasing an apartment,our international network of over 700 offices worldwide caters to your real estate needs. We love working with people who are passionate about their homes in Hong Kong, regardless if it is a house, villa, apartment or that special penthouse apartment or a holiday home. 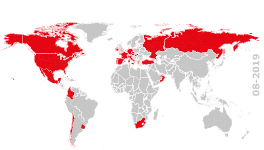 Our clients expect a higher level of service and product knowledge, both locally and internationally. This level of service is reinforced through our E&V Academy, which co-ordinates and trains our staff globally to a high level of consistent service which gives our clients confidence and security in negotiating and securing their home. Our success as a lifestyle brand is complemented by our Hong Kong Private Office catering to family offices globally, our Private Jets,Yachting and our commercial divisions to facilitate your global real estate investment and lifestyle needs. So it is not just Hong Kong where we are your local guides to buying and selling your home, but more importantly your Global Guide. This data protection information applies to the use of the website https://www.engelvoelkers.com/hongkong/﻿ (hereinafter referred to as “website”) and the Property Search App, a mobile application for property searches (hereinafter referred to as “property app”) and is valid from 25 May 2018. The following information applies to both the website and the property app, unless expressly stated otherwise. ● personal data transferred from the user’s internet browser each time the user accesses the website is stored within log files, also known as server logs. This data comprises: IP address (Internet protocol address) of the accessing computer; name of the accessed site; date and time of access; related URL from which the user accesses the site; number of transferred data items; status report of successful access; session ID number. ● Whenever the app is accessed, the usage data of the respective app user is saved. This data comprises: operating system used and, if applicable, the browser type, current language setting of the smartphone, information about the Internet service provider of the user, name of the retrieved page and, if applicable, the origin page, date and time of retrieval, amount of data transmitted, status report on whether the retrieval was successful, session identification number. The legal basis for the processing of personal data is GDPR Article 6(1)(a), if the processing is based on consent, Article 6(1)(b) if the basis for processing is a contractual relationship and Article 6(1)(f) if the basis is the legitimate interests of Engel & Völkers. The personal data is voluntarily provided by users. They may freely decide whether to make personal data available to Engel & Völkers and may subsequently withdraw their consent from the processing of personal data which have already been made available. Withdrawal may mean that the Engel & Völkers website is no longer usable. Users’ personal data may only be processed in case of need and processing will be performed electronically only, in particular by way of: gathering, registration, organisation, storage, consultancy, processing, amendment, selection, extraction, comparison, use, interconnection, access and communication, blocking, deletion and destruction of the data. Processing may be carried out electronically or non-electronically. ● Third-party supplier companies (e.g. IT service providers, hosting providers, etc.) to which Engel & Völkers has outsourced processing services as part of a job processing agreement. · In the case of fulfilment of legal obligations or obligations arising from regulations and guidelines under national or European laws. · For defence in court in the case of a legal dispute. If your query relates to offers from other companies of the Engel & Völkers Group, Engel & Völkers transfers the personal data entered by you in this case to the respective company from the Engel & Völkers Group with your prior consent or on the basis of its legitimate interests. [A10] Other than this, your personal data will not be disclosed by Engel & Völkers. In principle, Engel & Völkers does not transfer personal data to non-EEA countries without your consent. The servers used by Engel & Völkers are located within the European Union. If your query relates to companies of the Engel & Völkers Group outside the European Union, we communicate your data under your consent. In cases where personal data is transferred to countries that do not offer the same level of protection as within the European Union and you have not expressly agreed to the transfer of your data to those countries by way of your consent, Engel & Völkers will ensure that certain contractual obligations under applicable data protection law (including the execution of standard contractual clauses approved by the European Commission) are agreed with each service provider, unless Engel & Völkers can invoke other legal grounds for the transfer of personal data. Engel & Völkers saves personal data for the time necessary for achieving the purposes for which the data was gathered and processed, including any storage period stipulated under the applicable legislation (e.g. retention of bookkeeping vouchers) and in any case for a maximum of 24 months [A11] after the personal data was gathered. In order to improve website browsing, Engel & Völkers uses “cookies”. Cookies are small text files, generally consisting of letters and numbers, stored on the user’s web browser on their PC and containing pseudonymised data. Cookies allow a website to recognise the user’s computer in order to follow searches made on several pages of a website and to identify users who return to a website. Cookies may have technical, analytical or profiling purposes. The direct and indirect cookies used by Engel & Völkers are summarised here: https://www.engelvoelkers.com/en-de/privacy-policy-ag/doc/ev_cookies_lp.pdf. For storing language selection _icl_visitor_lang_js, _icl_current_language, evlocale.For storing selection of measuring units engelundvoelkersconfig.For storing last search requests LAST_SEARCH.For storing the watchlist ID watchlist_id.For storing test reference within AB tests user_ab.For storing references to distributed systems in load balancers BIGipServergroup-rz-webfe-prod. The website also uses analytical cookies set by third-party providers, e.g. Google (see also provisions on use of analysis programs and tracking tools) and Adroll (https://www.adroll.com/de-DE/about) /Privatsphäre) and Haufe (https://de.onlinehelp.umantis.com/index.php/Cookies). Engel & Völkers uses the web analytics service Google Analytics from Google Inc. (“Google”) for analysing the use of websites. The information generated by cookies about the use of websites is generally transferred to a Google server in the USA and stored there. Engel & Völkers uses Google Analytics solely with the extension "ga ('set', 'anonymizeIp', true)", in order to ensure that IP addresses are only processed in a shortened version and in order to prevent direct references to individual persons. Google may transfer data to third parties if this is prescribed by law or if third parties process these data on behalf of Google. Google will not publish the IP address of the user in connection with other Google data. Users may at any time prevent the recording and storage of data by Google Analytics, by installing a Google-approved browser plug-in which can be downloaded from the following link: https://tools.google.com/dlpage/gaoptout?hl=de. 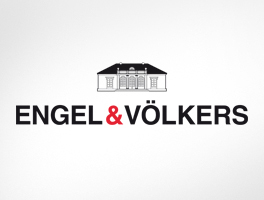 Engel & Völkers uses the Universal Analytics functions provided by Google. These functions allow Engel & Völkers to record and analyse socio-demographic data about users by means of a Google ID (if available) and by means of cookies generated by Google from advertising contents (DoubleClick). If a Google ID is available, the data controller will be able to record this data across all devices (e.g. if users have both a smartphone and a PC) for analysing visitor flows across all devices. Users may at any time prevent the recording and storage of data by Google Analytics by installing a Google-approved browser plug-in which can be downloaded from the following link: https://tools.google.com/dlpage/gaoptout?hl=de. Engel & Völkers needs statistical information on the use of the Property App to make it more user-friendly. For this purpose, Engel & Völkers deploys the following analysis tools. The providers of the tools process data, where personal data are processed, as a processor in accordance with the instructions of Engel & Völkers. To find out which other cookies the Property App uses click here: https://www.engelvoelkers.com/en-de/privacy-policy-ag/doc/ev_cookies_lp.pdf. If you want to opt out of Google Analytics tracking, go to your system settings and disable Google Analytics access in the Tracking section of the “Engel & Völkers Property Search” app. If you want to opt out of tracking Google Analytics on Android, go to the app settings and disable Google Analytics access. Crashlytics is an analysis tool offered and operated by Crashlytics Inc., based in Cambridge, MA, USA. Crashlytics generates crash reports, i.e. reports about malfunctions or failures of the app, where and in which context these have occurred, how many users of the app are affected, etc. Engel & Völkers uses these reports to detect malfunctions or failures to be able to react faster, more purposefully and more efficiently in the interests of the users and to be able to improve the app technically. For this purpose, Crashlytics, together with the user’s Symphony-related app ID, which can be deleted at any time, records data on the crash and on general data of the respective IT environment (in particular on the used device, the mobile service provider and the operating system). If personal or pseudonymous data is included, Crashlytics will delete it within seven days. This information will give Crashlytics and subsequently Engel & Völkers insight into whether and how the app works and is used, especially the malfunctions and failures that occur. Further information is available at try.crashlytics.com/terms/privacy-policy.pdf. This website contains links to the main social media network sites (e.g. Facebook and Twitter). These are not embedded social media plug-ins, but a link through which no personal data is transmitted to the social media operators. You have the right to information on the processing of your personal data (for example, the origin of this data, the processing purpose, the modalities of the data processing). Furthermore, on certain conditions, you are entitled, at any time, to object to data processing in the future, to limit it or to demand the deletion of the data. Finally, you can prevent the sending of advertising material or the implementation of market research or commercial communications at any time. - complaint to the supervisory authorities. Please note that your right to deletion is subject to certain restrictions. For instance we need not or may not delete any data which we need to retain for a further period under a statutory retention period. Data needed by us for the establishment, exercise or defence of legal claims are also excepted from your right to deletion. To exercise the above rights and to request information, users may write to the following e-mail address hongkongmmc@engelvoelkers.com[A12] or postal address Engel & Völkers VJI Limited, [A13] Shop A, 95 Caine Road, Mid Level West, Hong Kong. Similarly, users may at any time withdraw consent to, correct and delete the processing of their data. The responsible authority for processing of data is Engel & Völkers VJI Limited, [A14] Shop A, 95 Caine Road, Mid Level West, Hong Kong. In the event of questions regarding our data processors, we are happy to make a current list of these available to you. Engel & Völkers Hong Kong is an award winning real estate agency and a market leader in Hong Kong for sole agencies and for selling luxury properties and apartments. Our shop is situated in the heart of the city in Central on 95 Caine Road, Mid-Levels providing a convenient one point of contact with our experienced and multi-lingual local expert team. We won't waste your time as we make the selection process efficient by fully understanding and analyzing your needs. Local experts but global distribution. House buyers, sellers and renters choose us and that is evident from our huge list of properties for sale around Hong Kong including Repulse Bay, Clear Water Bay, Causeway Bay such as Happy Valley, Wan Chai, Aberdeen, The Peak, in around the Western District Area such as Pok Fu Lam, Mid-Levels, Sai Ying Pun in Central and Kennedy Town in Sheung Wan.